As soon as I am seated at any restaurant, I check my phone. It’s a bad habit I know, and one that I’m not particularly proud of. But whether it’s a quick email update, a cursory glance at my Instagram, or a hurried reply to a message, I always use my phone before I pick up the menu. And nothing excites me more than realizing that the restaurant offers free WiFi. Maybe it’s the convenience of faster speeds over WiFi or the fact that I go over my cellular data allowance every month but without a doubt, free WiFi makes me positively giddy—and I’m not the only one. 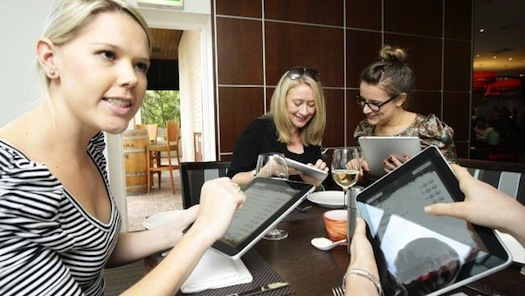 Several studies have been conducted recently to analyze the value of restaurants offering free WiFi. The results? Overwhelmingly positive. WiFi is the new key to customer satisfaction, and it’s only going to grow from here on out. A study by Hospital Technology, for example, found that there is a positive correlation between customer visits and WiFi service as well as a negative correlation between the cost of accessing WiFi at a restaurant and the likelihood of the customer returning. Customers want WiFi, and they’d prefer it be free. I know what you must be thinking. With all of the expenses of starting a restaurant and daily operations, is WiFi really a worthwhile investment? Well, your customers have spoken. According to Tweak Your Biz, 61% of customers look for free WiFi in restaurants, which means that those who haven’t invested in WiFi are sinking in the eyes of all of those potential customers. Also, as if that isn’t reason enough to jump on the WiFi bandwagon, 27% of customers visit restaurants that offer free WiFi more frequently. Repeat customers are KEY to any successful restaurant, and free WiFi could essentially be your asset that brings people back. If the increase in customer satisfaction that comes from free WiFi isn’t quite enough, you can also find a way to incorporate WiFi into your marketing or sales strategies. What this means is that the application of free WiFi can be extended to build real time engagement with customers. The Wavespot router is a perfect example of a tool that can help you increase customer engagement and social brand development. With Wavespot WiFi, customers can log in to your WiFi when they come in to your store with email or social media accounts. Once logged in to the WiFi, Wavespot truly allows your customers to engage with your business. You can send rewards and offers directly to all of your customer’s personal smart devices and garner emails on WiFi logins to continue interacting with your customers once they leave your store. Additionally, WiFi logins advertise the business’ social media and garner customer analytics to enable well-informed marketing decisions. All this with a simple WiFi connect. Free WiFi is a necessary tool to stay competitive. With location marketing technology solutions such as Wavespot, restaurants can further optimize the application of free WiFi and the the return on marketing investment. Free WiFi – to get or not to get is not even the question. It’s time to strategize how to best use free WiFi to influence your customer satisfaction and loyalty.